GI Social is an intuitive, streamlined social media platform built for businesses, agencies and individuals to help drive meaningful engagement and results on social media. It has a suite of products that can help brands harness the power of social media through effective publishing, engagement, analytics, listening, reporting and team collaboration tools. It enables brands to simplify social management, collaborate across teams and provide an exceptional customer experience. GI Social which includes a free tier and starts as low as Rs 5 per day for a standard plan is a powerful, highly effective social media management and analytics tool. It is a great platform for businesses of any size. It enables brands to explore the full potential of digital marketing by managing multiple customer touch points on one seamless platform. Marketers can plan, execute, evaluate in one place while mapping all other customer interaction data and effectively progress in social communication. It is designed to help you navigate easily and find the information you need fast. The platform is packed with a host of intelligent features to let brands easily build a social presence, engage with people and build lasting relationships. It gives a lot for the price when compared to other social media management tools. GI Social`s value and features are best in class for the price point. You have all the features of HootSuite, Zoho, Buffer, Sprout Social, MailChimp at less than half of the price. What GI Social can do for you? It is an excellent platform to manage multiple social media platforms all in one place. It is the right management tool if you are looking for engagement, publishing, workflow features, analytics, reports and sending mailers all in one place. The core strengths of this tool are its well –organized integrated Inbox in a multi-columned design which makes it easy to monitor, measure, and respond to social media channels on one screen. It allows users to see all their customer messages and posts from social media, website, and email. Real-Time Notifications are enabled for all social media assets. You also have Sent/Outbox/Drafts/Competitor`s Inbox included here, making it highly efficient. You have fully integrated workflow management for all teams across your organization to manage sales leads/support issues/technical problems. With its intelligent –ticketing system where any post or email message can be converted into a ticket. Its team management facility is excellent where it allows users assign tasks with other team members for collaboration efforts aiding in increased communication and awareness. GI Social’s Website Live Chat feature allows to stay connected with your customers and interact with your visitors to strengthen your brand presence. Another noteworthy feature is the GI Social Analytics tool which gives insights you need to improve your business. The tool can be used to improve sales, find more visitors, track your engagement, impressions, top posts, audience demographics, and how many link clicks you received. It provides Real-Time Analytics with competitive and systematic insights to aid in taking your strategic decisions quicker. A highly effective feature of this tool is its creation of Custom Reports using insights from social media, emails, tickets, mailers or your competitors. It can amazingly build Advanced Reports in seconds by choosing from over 300+ metrics. The finest feature is the separate dashboard for studying Competitive Intelligence. Here, you can track all your competitor posts and their customers. Analyze your competitor`s strengths and weaknesses from one place and optimize your strategies accordingly. Another advanced aspect of this platform is that it allows you to gain insight into what your audience is talking about your brand. Track social activity across multiple channels and profiles, find potential followers and discover your brand with its social media monitoring tools. You have another great feature in this platform for Advanced Sentiment Analysis which helps analyze and give inputs based on the positivity of each and every message. With its publishing tool, you can design, schedule and post messages to multiple social platforms at one single go at any time and anywhere. One of the greatest benefits of using GI Social is having an E-Mail service provider handling your email marketing basics. 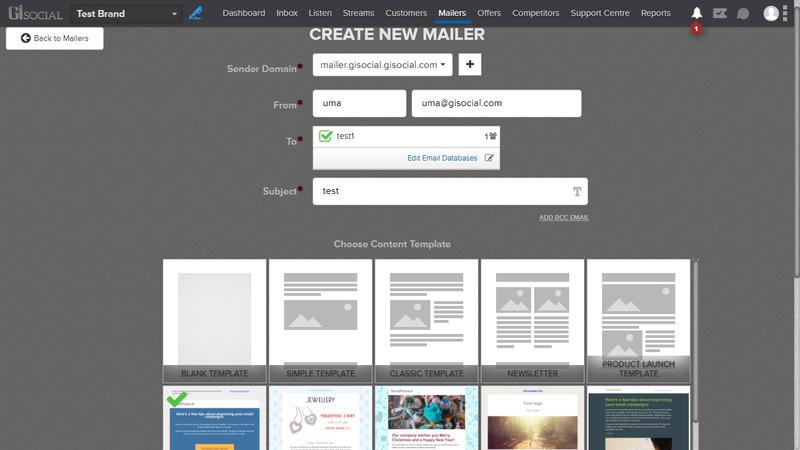 It has all the tools you need to create emails and newsletters and send them out. You can also get your email marketing performance metrics when you need them. 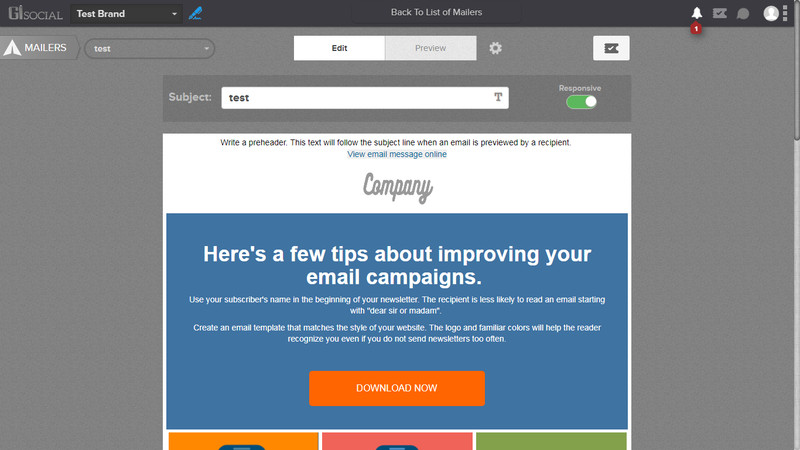 You can use this tool to generate new leads with its creative marketing campaigns feature using offer campaigns, mailers, and contests. A new feature integrated into this platform is a good, easy-to-use design tool to design your social media posts or mailers or any other and publish them in a seamless manner. You can also use Canva to design any of your work. GI Social is a social media management platform. Within GI Social you can view and manage multiple social media networks and profiles all on a single page and schedule future posts. Another remarkable feature in GI Social is you can select multiple profiles in which to post to and link your social media profiles together. This acts as a huge time saver. Posting regularly on social media sites helps to keep your brand alive and reach to your customers. Building this interaction and fan base does take time and effort to maintain. Scheduling your social media updates in advance can save you time and effort. Scheduling in advance helps to reach audiences in multiple time zones. By being consistent with new updates, it ensures maximum engagement with your audience. Once you have set up a GI Social Account and added all your social media channels, then scheduling your posts is easy with these simple steps to follow. You can manually schedule messages to publish on a specific date and time. Click on the compose icon in the left-hand side of the Menu bar. 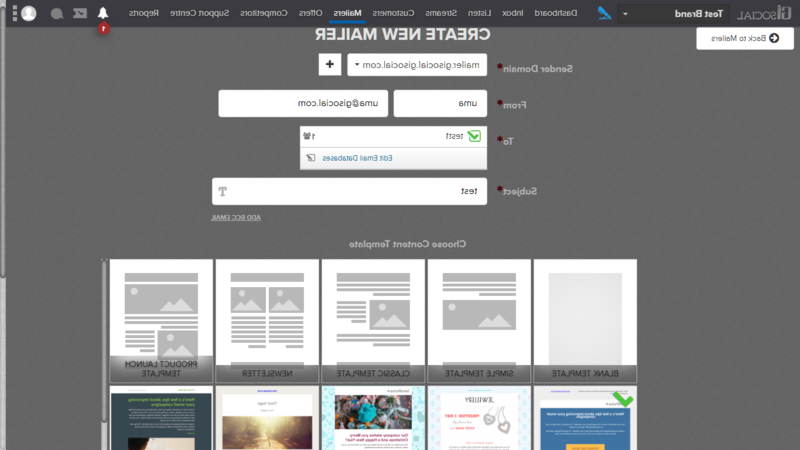 A pop up image of compose box will appear as seen in the image above. On top of the compose box page, you will see the various social media icons. Select as many as you wish. You can also add multiple profiles by clicking on the plus icon on the selected asset. In the compose message box of the selected asset, enter your post. In case you have an image to add, select the upload icon off to the left of the compose box of the selected asset and upload it from your computer. Then you are ready for scheduling. Select the calendar icon to the right of the compose message box of the selected asset. Here you can enter the specific date and time. Once you have selected, click the Post Now button. 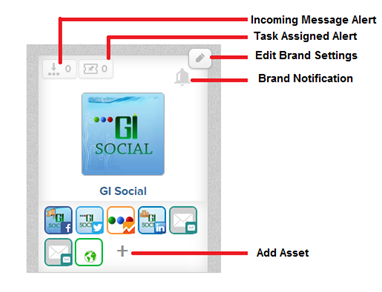 GI Social is a powerful social media management tool to manage all social media assets from one central place. We aim to build a simple, clean, intuitive tool to help you get started successfully managing your social networks using the GI Social Dashboard. Access `All Brands Page` where you can view, create and manage all brands. You can access this page from anywhere using the header drop-down and clicking on the “All Brands” link. Your brand is now created and ready to Add Assets. Connect your social profiles to publish and schedule content and monitor engagement all from your GI Social dashboard. For most brands it will be sufficient to add one profile – your Facebook page or your Twitter handle. You can link up your social profiles immediately. A pop-up will appear to Add Assets. Choose Facebook asset to add your Facebook Page/User. Then click on the “add a Facebook page/User” button, it will ask you to log-in the Facebook account. A pop-up will appear to authorize the GI Social App to retrieve your Facebook page details. Once it retrieves the Facebook page details, and then enables the check-boxes to add desired Facebook page here. Then click “Add selected page as asset” button. Then Facebook page will be added to the brand. Choose Twitter asset to add your Twitter profile. Then click on the “add a twitter account” button, it will ask you to log-in the Twitter account. A pop-up will appear to authorize the GI Social App to retrieve your Twitter details. Finally your twitter profile will be added to the GI Social account. Choose LinkedIn asset to add your LinkedIn profile. Then click on the “add a LinkedIn Company/User” button, it will ask you to log-in the LinkedIn account. A pop-up will appear to authorize the GI Social App to retrieve your LinkedIn details. Once it retrieves the LinkedIn details, and then enables the check-boxes to add desired LinkedIn company/user here. Then click “Add selected Company/User as Asset” button. Choose Instagram asset to add your Instagram Account. Then log into your Instagram Account. A pop-up will appear to authorize the GI Social App to retrieve your Instagram details. Finally your Instagram profile will be added to the GI Social account. Choose Google+ asset to add your Google+ User/Page. Then click on the “Add a Google+ User/Page” button, it will ask you to log-in the Google+ account. Once it retrieves the Google+ User/Page details, and then enables the check-boxes to add desired Google+ User/Page here. Then click “Add selected Google+ Profiles/Pages as assets” button. Then Google+ Profile/Page will be added to the brand. Choose YouTube asset to add your YouTube Channel. Then log into your YouTube Account. A pop-up will appear to authorize the GI Social App to retrieve your YouTube Channel details. And then, your YouTube Channel will be added to the Brand. Choose Web Analytics asset to add your Analytics Account. Then click on the “add a Google Analytics Profile” button, it will ask you to log-in the Google Analytics account. A pop-up will appear to authorize the GI Social App to retrieve your Google Analytics details. Once it retrieves the Google Analytics details, and then enables the check-boxes to add desired Google Analytics here. Then click “Add selected Analytics Profile as Asset” button. In “more” option, choose TripAdvisor asset to add your TripAdvisor Hotel Page Account. Then click on the “add a TripAdvisor Hotel” button, it will ask you to enter the TripAdvisor login Email Address and password to connect it. Once it retrieves the Hotel Property details, and then enable the checkboxes to add the desired Hotel Property here. Then click “Add selected TripAdvisor Hotel as Asset” button. Choose Web Chat asset to add Another Chat Account. Then click on the “add Chat Account” button, Enter your company name and website url. Then click `Create` button. A script code will appear in the box. Copy and paste the script code in your website or application to start using the conversation. Choose Website asset to add your Website Account. Click `Add Domain` button. Then enter your Domain name in the text box. Your domain will be added to your brand. In the first week of December 2015, Chennai, India’s fourth largest city with a metro area the size of Chicago, was paralyzed. Flooding from record rainfall, the heaviest in more than a hundred years, has cut off more than 3 million people from basic services for days.However this has taken a different turn on Social Media. Social media has created a significant impact on Chennai floods by clubbing in people from around the world in providing relief for the flood victims. Social networking sites like Facebook, Twitter and Whats App have played a crucial role in spreading message to help marooned citizens in flood ravaged Chennai, with many offering voluntary services and establishing contact with loved ones through these medium. Though several areas were inundated in last week’s heavy rains, people still managed to post messages seeking help or sharing information about those ready to offer help. Facebook and Twitter hashtags have made a huge contribution on bringing in the attention to many during Chennai floods. Facebook has also started its Safety Status update which provides an alert for Facebook users by marking their status as safe. After Google and Facebook offered to help citizens of Chennai affected heavily by rains, Skype has also joined the list. 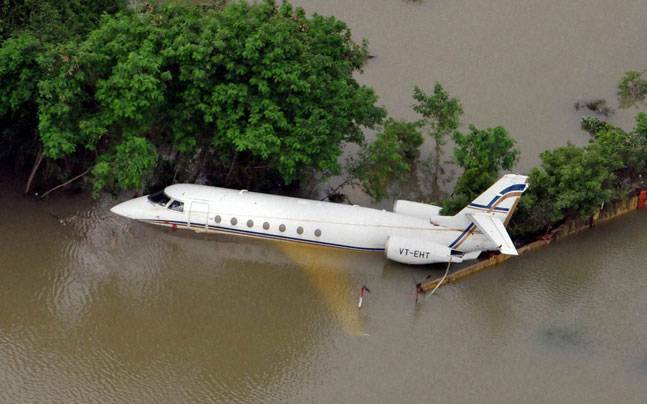 Chennai locals have already started using Twitter not just to tweet images and updates of the floods, but also to organize and coordinate rescue and relief efforts. 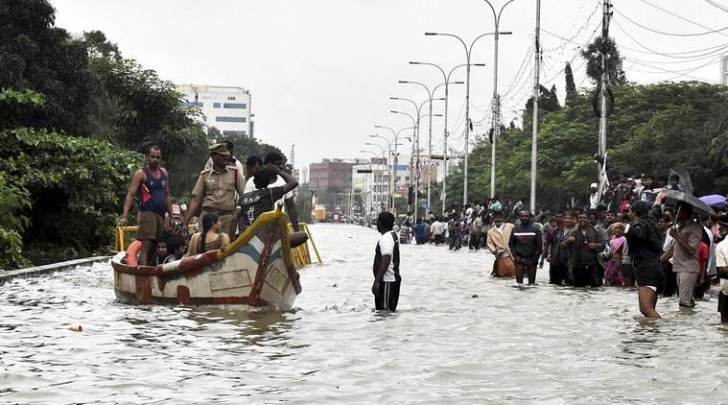 Hashtags such as #ChennaiRainsHelp, #ChennaiRescue and #ChennaiMicro are being used by stranded people to ask for help, as well as help the volunteers to offer food, shelter and transport. Twitter handles such as @ChennaiRains are also sending live updates. Google India also activated its Crisis Response page, which compiles resources for emergency helpline numbers, crowd sourced maps, flooded streets and relief centers. 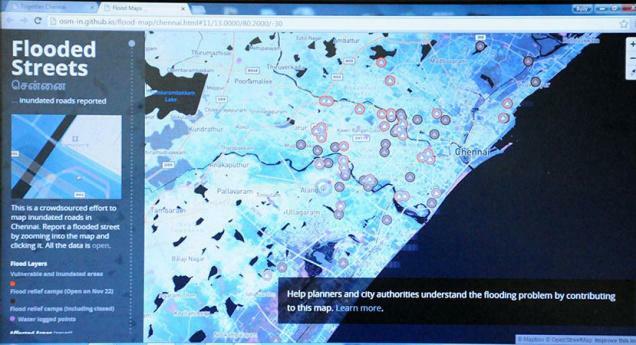 A crowd sourced Google spreadsheet started by Chennai residents has become one of the most popular platforms for relief efforts. It has a list of shelters and other helping aid being offered by volunteers. Its overwhelming to watch youngsters utilize the Social Media in such a productive way. Social Media providing a great platform for uniting people from every corner of the world and allowing every single person to be a participant for varied causes. This reflects the utmost potential for our future generations, pushing it to a level were even the current political existence can be challenged and upturned. 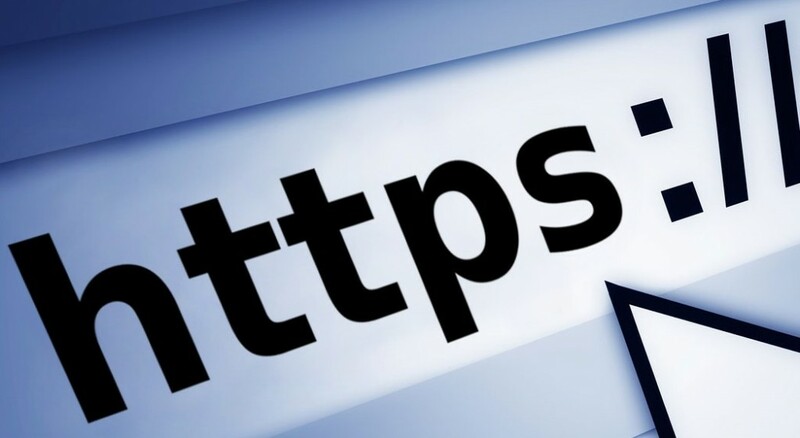 Twitter is now moving t.co to HTTPS only for new links from October 1, 2015 onwards. The HTTPS scheme helps Twitter securely transfer readers to the intended landing page. One of the team members from the Twitter development team published a thread on the Twitter Community forum stating that the new company’s plan for HTTPS on new outbound links. So from October 1, 2015 onwards, if you share a link on Twitter, it will cloak in https://t.co. This HTTPS scheme allows Twitter to securely transfer readers to the intended landing page, even if the landing page is not an HTTPS link. Going forward, this HTTPS change will increase the length of cloaked URLs by a single character. Another issue with this change is tracking referral traffic to non-HTTPS sites. Twitter explains that non-HTTPS sites may notice an apparent decrease in referral numbers from Twitter. Based on Twitter estimates, you may see a 10% drop in traffic attribution as a result of this HTTPS change. Also, the percentage will decrease over time as users update their browsers to the latest versions supporting to the referrer policy. The power of video is often deprecated. Many people don’t even aware that videos are a critical element of their marketing strategy. This is because videos are attractive with users and extremely flexible. So you can create a YouTube channel for your company, embed videos in the website, post them on social media especially on Facebook, use them in your email newsletters, and much more. 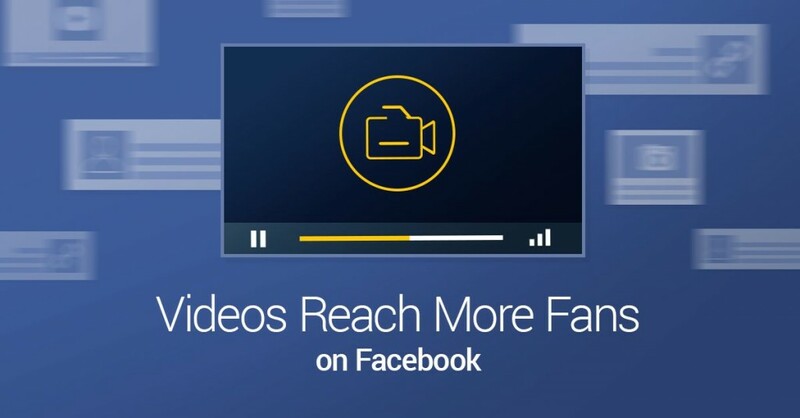 A latest study says that Facebook native videos received a higher number of likes, shares, comments, and reach. Also it has higher organic reach than status and link updates on Facebook. Some tips you need to be aware of when creating a Facebook Native Videos. Make sure your video should have a high definition quality but also it should not exceed the size limit of 1.75GB. Otherwise Facebook won’t accept the video for publishing on the Facebook Business page. Now-a-days people are looking for more relevancy and immediate outcome of the video in a short time. According to recent study, the ideal length of a video should be less than five minutes. So to reach your potential customer, try to make videos less than five minutes with a proper message. According to a study, people in this era have a very less attention span. The average attention span is 8.5 Sec., so try to capture your customer attention with an attractive headline, engaging introduction and so on. It’s important to give a good title to your video, so it helps the audience to get understand of what the video is all about. Also it will enhance your video in organic search for specific keywords. You can make sure the thumbnail should attract the users to click on the play button. Facebook provides you ten thumbnail options captured from the video, out of that you need to choose one which captures the audience click-through. If you’re not happy with the Facebook options, you can upload a custom thumbnail for your video. Facebook is one of the best Social Media site which helps to increase your brand’s reach with videos and connect with your audience through visuals, sound, and emotions. So utilize it properly and gain more out of it. Billions of calls are made everyday on mobile phones and people often have very little information about who’s calling them. Today Facebook is starting to test Hello, a new app built by the Facebook Messenger team. Hello connects with Facebook so you can see who’s calling, block unwanted calls and search for people and places. When you get a call, Hello will show you info about who’s calling you, even if you don’t have that number saved in your phone. You will only see info that people have already shared with you on Facebook. You can also search for people and businesses on Facebook and call them with just one tap. So if a friend tells you about a new restaurant in your neighborhood, you can use Hello to find their hours, make a reservation and get directions, all without leaving the app. Hello makes it easy to block unwanted calls. From your settings, you can block specific numbers and adjust whether you want to automatically blocks calls from commonly blocked numbers. Blocked calls go straight to voicemail and can be reviewed in your recent calls.